By the time we arrived on the island on June 6th, the Great Black-backed Gulls had already hatched their chicks. By mid June the chicks were getting big and running around while being guarded and fed by their diligent parents. This is a great opportunity to catch young gulls, before they can fly, and outfit them with their own colour bands. 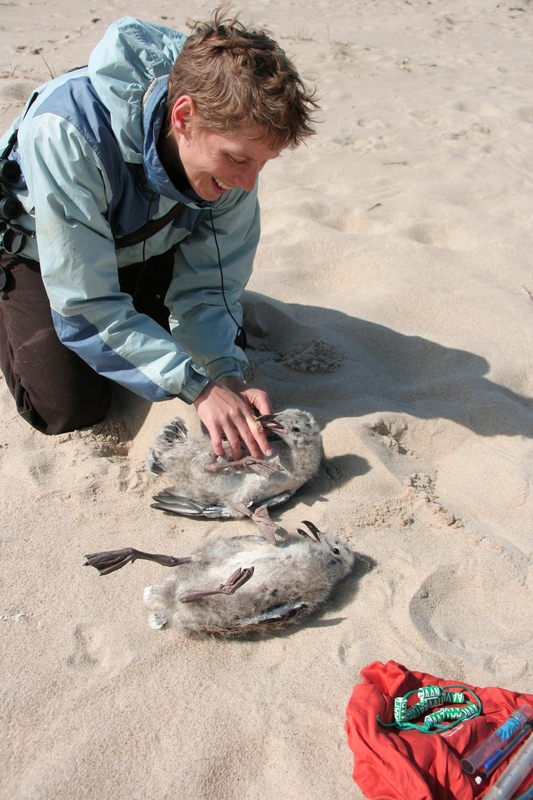 Chicks lay calmly on their backs as they await their turn for banding. When their not hiding in the vegetation, chicks are running fast. We were often outsmarted by these 20-day old birds who evaded capture by disappearing in the grass, running down and over steep dunes, and, most effective of all, swimming off into the surf. We succeed in banding 28 chicks but they were too small to be fitted with wing-tags. 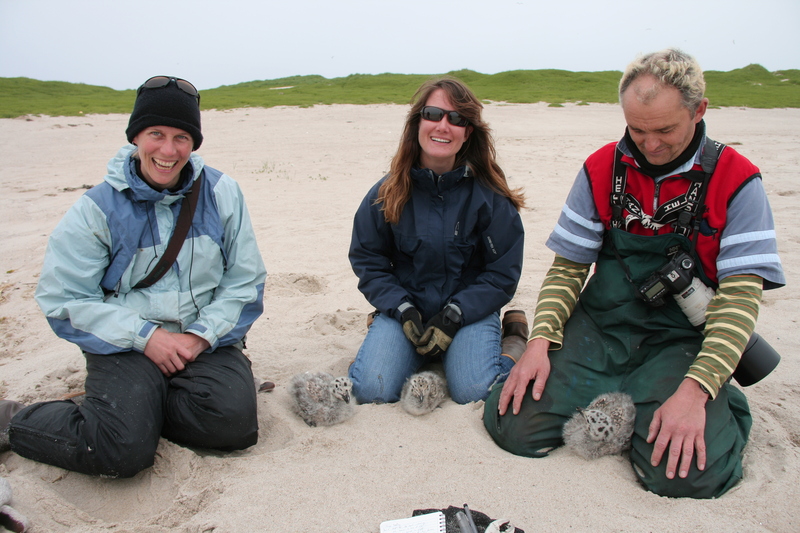 Ingrid, Susan, and Damian round up three chicks for banding. 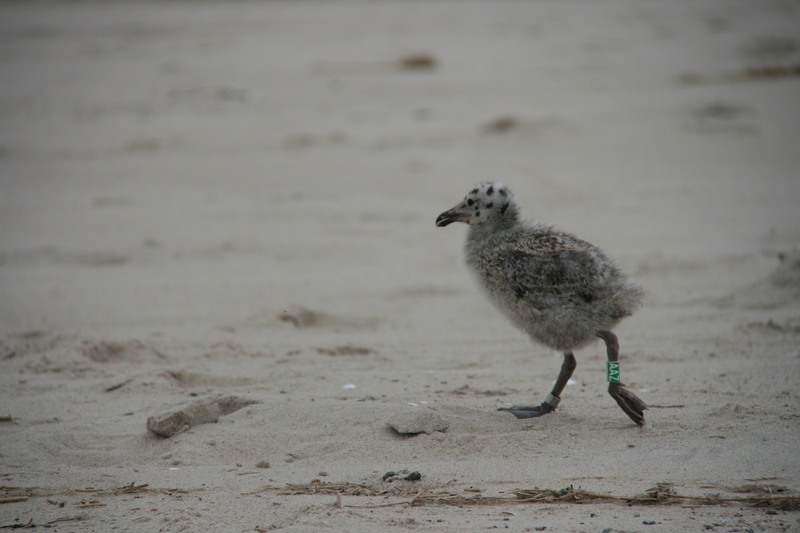 A Great Black-backed Gull chick runs off with its new green band.